Now that's sweet! 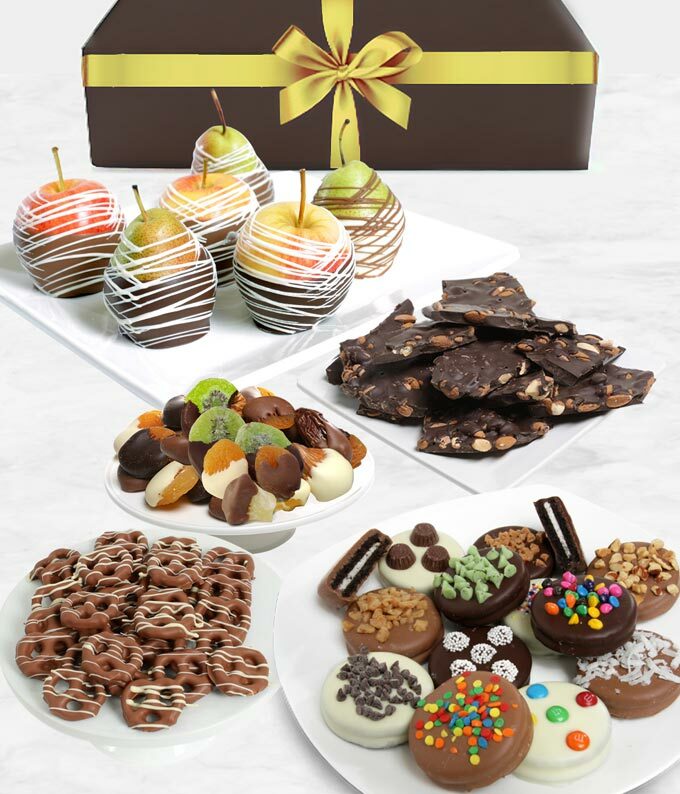 The Grand Belgian Chocolate Covered Fruit Gift Basket is a sure way to make someone special's day. Featuring a wonderful array of fruity and chocolatey treats, this large gift basket is thoughtfully designed to awe your recipient.